What Happens to Florida Property That Belongs to Those Who Live in Other States? Florida is a popular vacation area, a popular state for people to own vacation homes and timeshares, and a popular place to visit. As a result, it is common that people who live out of the state may own property located in the state. Those people may have wills, estates, or trust documents that are drafted in their non-Florida home state. So what happens to their Florida property when they pass away? Will the estate documents they drafted in their home state still be effective even as to property located here in Florida? When residents of other states die owning property in Florida (in particular, real property), two probates may be required: the probate in the person’s home state, and the probate in the state where the property is located. This second probate is called an “ancillary probate”. Unfortunately, two probates often lead to double the cost and double the exasperation of the surviving family members. Fortunately, planning for out of state property can prevent an ancillary probate. Real property can be placed into a revocable trust or a business entity, such as a limited partnership or limited liability company. Doing so will avoid ancillary probate on those assets. Bank accounts and investment accounts should have proper beneficiary designations, allowing them to pass to beneficiaries without probate. Alternatively, those investment assets can also be placed into a trust or limited liability company. Planning to avoid ancillary probate can also provide the beneficiaries the additional benefit of avoiding state inheritance taxes (Florida has no state-level inheritance tax, but several states do). 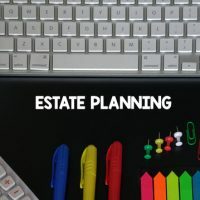 These state-level taxes can often be avoided using the same planning techniques that avoid ancillary probate. Don’t leave your out-of-state property and estate to chance. Contact Tampa business attorney David Toback to discuss a comprehensive estate protection plan that takes into account all of your property.